Woman Submit! 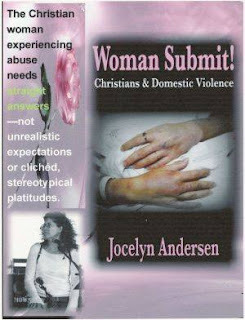 Christians & Domestic Violence: The Story Behind the Writing of "Woman Submit! 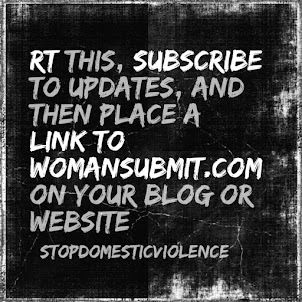 Writing about domestic violence, after experiencing it first hand, was not something I ever wanted to do. What I wanted to do, was move forward with my life, and, as the Bible says, "forget those things which are behind." I felt I had suffered enough (those are my hands on the book cover), paid my dues, and it was finally time to relax and relish the process of living. I had plans to enjoy the beautiful Florida sunshine, sip lemonade, and write novels. But the leading of the Holy Spirit to write a book about spousal abuse, and in particular to record the horrific details of the last experience of it in my own life, was just too clear to ignore. I will never forget the night, in 2003, when I tossed and turned in my bed for hours, stubbornly resisting God's leading to get up and write, only to finally-- begrudgingly--agree to obey Him and drag my sleepy self out of bed at 3:30 in the morning to record the experience of being almost killed by my pastor husband--saying to the Lord, as I headed towards my word processor, "But just the facts Lord, just the facts!" After I finished recording the details--just the facts!--I filed the story away in my computer and did my best to forget the experience altogether. Which, as it turned out, I was quite good at. 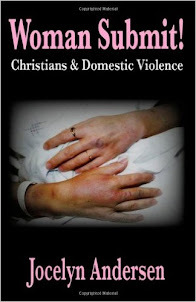 I discovered that, when I was finally emotionally ready to begin writing about the subject of Christians and domestic violence. How grateful I was, then, for the wisdom of God in prompting me to get out of bed and write down the details while the experience was still fresh and raw in my memory, only three weeks after the event had taken place. . When I went back, much later, to re-read my own first-hand account, I was fairly blown away at how successful I had been in blocking so much of the experience from my memory. I remember repeating to myself, "Oh my, I had forgotten that!" Thank God, the book is more than about simply recounting a personal atrocious experience of spousal abuse--which I never wanted to write about in the first place! Much later, in preparation for writing Woman Submit!, I read through my journals and realized that I had recorded many insights as I journeyed through, and finally out of, the minefield of an abusive marriage. When all was said and done, at the end of all my research and fact checking on the subject, it was my own personal journals which remained the basis for Woman Submit! 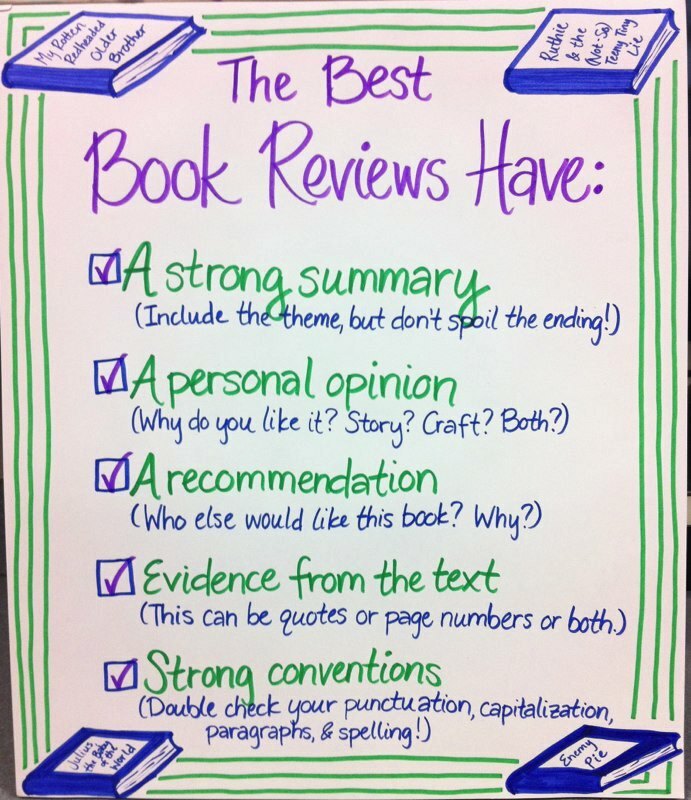 The insights recorded in those journals, had provided an accurate road-map through--what had been for me, and, as it turned out, for others as well--uncharted territory. As I read through my journals during the interval between 2003 and 2005 (when I finally stepped out of the little world of "Me" and began writing the book to help others), I found that talking about wife beating was no longer a frightening thing for me. I found that I was ready to share the insights which had originally been used as my own personal road-map out of abuse and were already proving to be useful to others in their own journey's out of violent marriages and relationships. ​Great joy comes from knowing that others have been helped through my personal experience and insights. In spite of what I originally thought, writing Woman Submit! has enriched my life immeasurably. And in between my non-fiction projects, advocacy, and activism, I am finally writing that novel. I don't get to spend as much time in the Florida sunshine sipping lemonade as I would like, but I'm working on it!